In a large stockpot, sauté the onions and two of the minced garlic in 2 tablespoons extra virgin olive oil on medium heat for 5 minutes. Add the orzo and sauté another minute or two. Add in the fresh spinach and cook until slightly wilted. Season with salt and fresh ground pepper. Pour in the chicken stock; bring to a boil, reduce the heat to low and simmer while preparing the mini meatballs. In a mixing bowl combine the beef with the bread crumbs, eggs, sage, and Parmesan cheese. Season with salt and fresh ground pepper. Shape into mini meatballs. Bring the soup back to a rolling boil and gently add the meatballs. Lower heat to a simmer and cook 5-8 minutes until meatballs are fully cooked. Spoon into bowls and top with fresh shaved Parmesan cheese. Serves 6. This recipe has been shared on Fiesta Friday, Family Joy Blog Party and Saucy Saturdays…go check it out then go visit some other great sites! 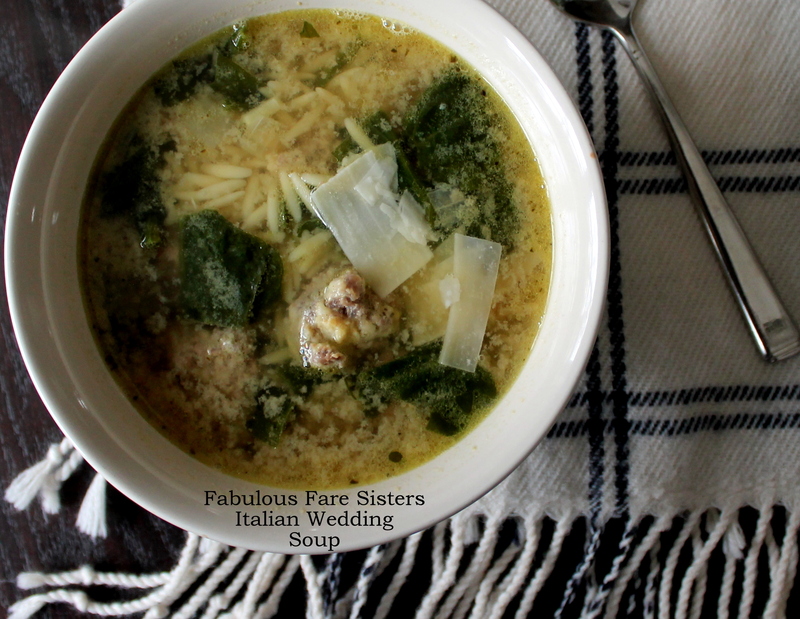 My husband loves Italian Wedding Soup. I’ve been looking for a recipe. This looks easy enough that I can make it for him sometime. Congratulations! Hopefully you will soon be a grandma 😄 Italian wedding has got to be everybody’s favorite soup, it’s so yum! Congratulations Linda! 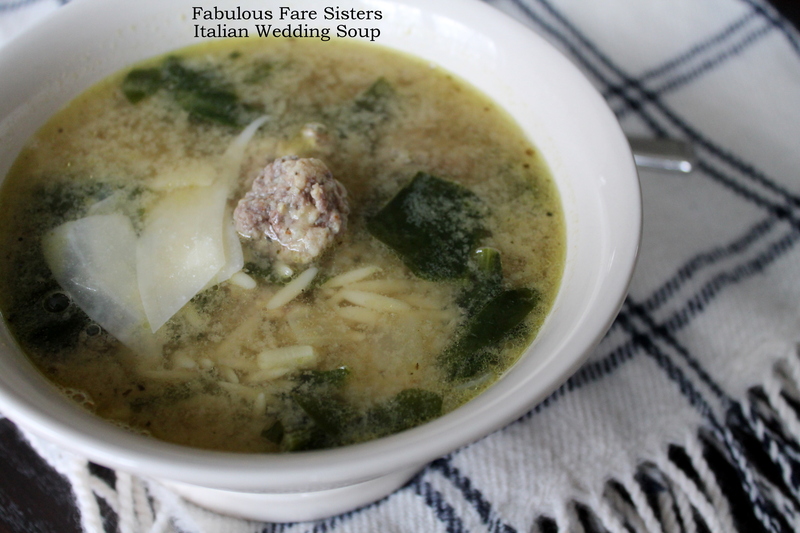 Wonderful, I love Italian Wedding Soup! I am making this soon! Congratulations! I can eat soup every single day and love soups that aren’t loaded with cream. I would love to have this soup on my stove! Congratulations to both of them. I love this great news. Linda, you may be a Grandma soon, wow!. So happy for you and your family. Wedding soup is one my my fav soups. I use pastina and escarole but spinach is great if you don’t have escarole. Congratulations on your son’s wedding! This is one of the all time best soups. Congratulations on your son’s wedding.